That was so rude of me, wasn't it? To make it up to you, I've dedicated a page just to live streaming the conference so you can feel like you're there. Not sure of what BEA stands for or what it is? 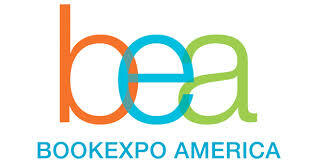 Check out this post, then follow along here or by clicking on the BEA 2013 Live Stream tab at the top of the page. That's still not enough? Okay, the lists of authors I want to see and books I want to nab are pretty short, so if you click on the links below and find author autographs or books that you want, let me know and I'll make every effort to grab them for you. Limit your requests to no more than two books and one autograph. I'll try to post on the blog, but I'm not sure how much time I'll have for that. I'll definitely be live tweeting my time at BEA and in New York, in general, so be sure to follow me on Twitter (@Reads4Pleasure) for updates.